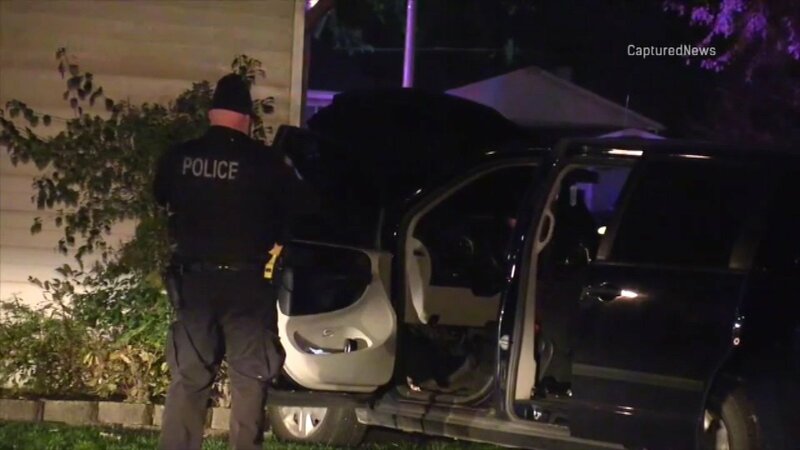 MARKHAM, Ill. (WLS) -- A carjacking of a Lyft driver in Indiana ended with a home invasion in the south suburbs Saturday. Hammond police responded to a reported carjacking in the 7400-block of Madison Avenue at about 2:45 p.m. Police said four male suspects requested a ride from a Lyft driver and stole the vehicle after threatening the driver with multiple firearms. After a police pursuit, the stolen minivan crashed into a tree in the area of 163rd Street and Hermitage Avenue in Markham, police said. The suspects then entered a home that wasn't theirs. Hammond and Markham police took five suspects, two 18-year-olds, a 16-year-old and two 15-year-olds, into custody and a weapon was recovered. The residents inside the home were unharmed, police said. Lyft released a statement saying, "This is an incredibly frightening incident. We take the safety of Lyft drivers incredibly seriously, and have reached out to the driver to offer our support and assistance. We have deactivated the passenger's account, and stand ready to work with law enforcement on an investigation."